STOP THE PRESS! 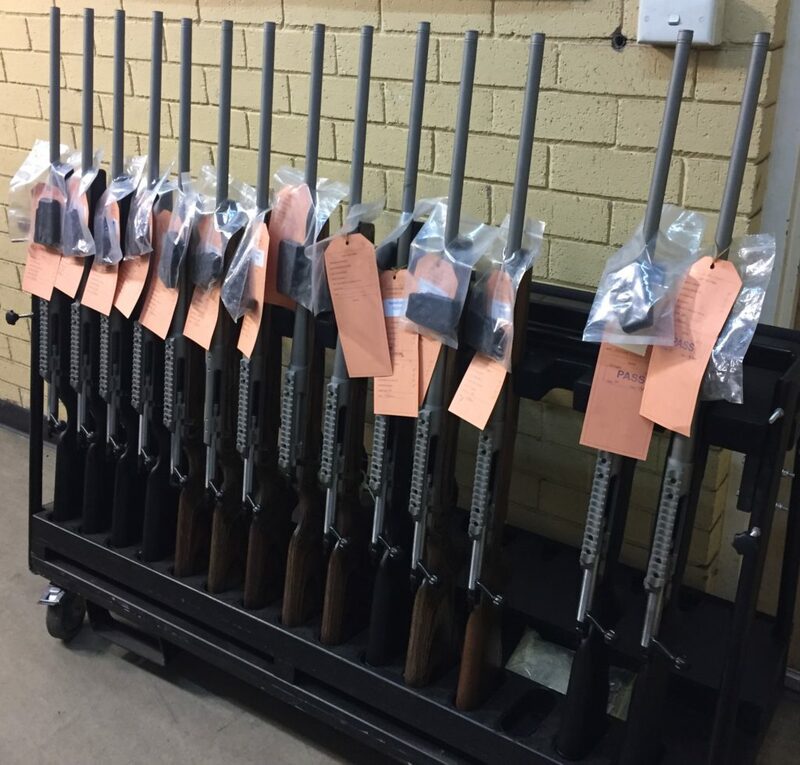 Here are some LA 102 .223 rifles complete with new barrels hot off the production line and soon to be on their way back to you, our valued customers! You can see in the pictures attached that the newly replaced barrels bear the .223REM accreditation stamp to confirm the new barrel is a Lithgow Arms certified replacement. You will also receive a Lithgow Arms Remediation Certification card with your returned rifle to confirm the barrel replacement. All rifle owners will be contacted directly by our customer services team when their rifle remediation has been completed, packaged and on its way back to you. For those who have returned their rifle to us and have not received an email confirming receipt, please ensure you check your junk mail as we have had feedback that our emails are being caught in spam filters. Barrels are being replaced by the factory on a first-in-first out basis. You will receive a free single stack box magazine. We apologise for any inconvenience caused and thank you for your patience and cooperation in this matter.